An innovative degree building on the synergies between economics and applied finance. To allow students to better exploit the strong theoretical and practical connections and complements between Finance and Economics, the Carey Business School and the Applied Economics Program of the Krieger School of Arts and Sciences of Johns Hopkins have eliminated the overlap between the MS Degree in Applied Economics and the Graduate Certificate in Financial Management and the Graduate Certificate in Investments to create a comprehensive dual-degree program encompassing the best of both disciplines. This comprehensive program allows students the opportunity to earn both an MS Degree in Applied Economics and a Graduate Certificate in either Financial Management or in Investments. The Graduate Certificate in Investments accompanies preparation for the Chartered Financial Analyst (CFA) examination, which is preserved in the dual-degree program. The program is offered through the Krieger School of Arts and Sciences Advanced Academic Programs (AAP) and the Carey Business School. In accordance with US Department of Education regulations, the JHU Carey Business School is required to disclose graduation rate data, median loan debt data, and other select information for all Title IV eligible gainful employment programs. To see the most recent data available for this gainful employment program, please view the attached disclosures for Financial Management and Investments. Students have the opportunity to earn both the MS in Applied Economics and a Graduate Certificate in Financial Management or in Investments for a total of 15 courses, eight at Arts and Sciences (Applied Economics) and seven at Carey. Courses for the MS in Applied Economics and both certificates are taught both online and in-person. For more information, visit the dual-degree website. Applicants to the program should refer to the Carey Business School Tuition and Fees chart for current certificate tuition amounts. 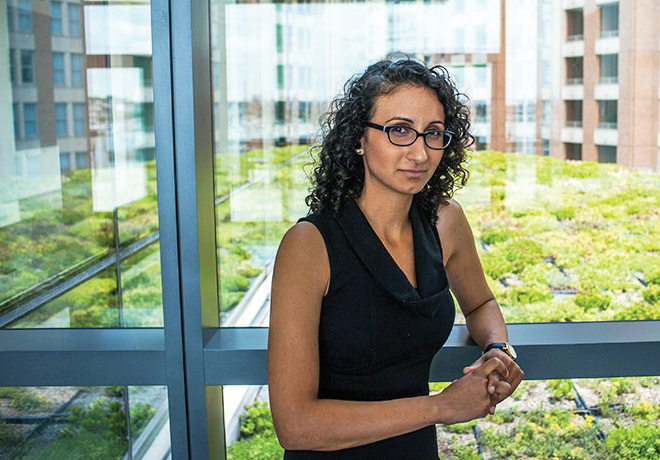 Pastakia is principal owner of Pratum Greenroofs LLC, a company she founded while a student at Carey.